Sometimes we can&apos;t wait until dinner for some gourmet pasta, and we don&apos;t have the funds to shell out a ton of money for lunch either. That&apos;s where Cento Pasta Bar comes in, a pop-up residency in downtown Los Angeles that gives you fancy pasta for mostly $9 a plate. Cento&apos;s indefinite, lunchtime residency started earlier this week, and is situated inside Mignon wine bar. It&apos;s the brainchild of friends Avner Lavi, formerly the pasta cook at Bestia and Sotto, and Santos Uy, who helms Papilles, Mignon and Rice Bar. Uy tells LAist that "cento" means 100 in Italian, as in 100 grams that make a lunch portion. The concept is a simple one. They offer four seasonal pastas from Tuesdays through Fridays until they sell out, as well as two antipastos and desserts. Mostly everything is homemade, and the noodles they use are either homemade pastas or artisanal dried noodles straight from Italy. Their pastas are $9 except for a special uni one that&apos;s $14, the appetizers and salads run at $6, and Italian desserts at $5. And what&apos;s a pasta dish without wine? They even offer wine by the glass for $6. Well, it&apos;s 5 o&apos;clock somewhere. 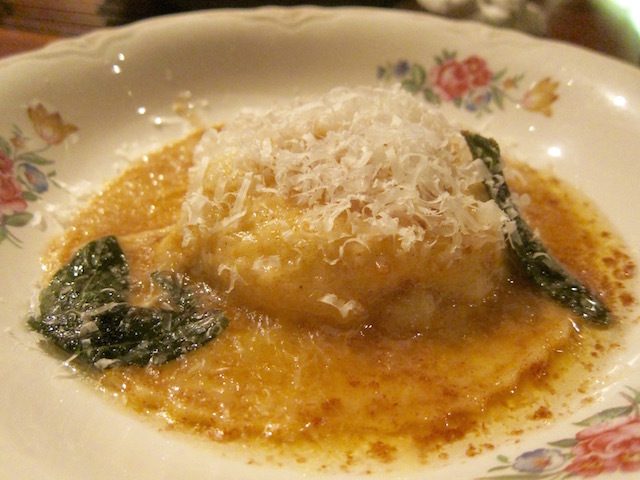 LAist was invited to attend a preview dinner of Cento&apos;s pasta dishes last month, and found that many of the dishes we sampled ended up making it on the pop-up&apos;s final menu. And we&apos;re happy about that since we enjoyed each of them. It&apos;s really a bang for your buck as these dishes are made with high-quality ingredients and by a gourmet pasta chef. As for the $9 pastas, you can expect simple dishes like the orecchiette with bolognese to the more complex like the freshly made, huge raviolo stuffed with ricotta and covered in parmesan shavings. But the best part is once you cut open into the raviolo, an egg yolk runs out and it makes you feel like you just opened a mouthwatering present. It&apos;s also covered in a brown buttered sage sauce. Another crowd pleaser is the agnolotti, which is butternut squash-stuffed pasta, topped with pepitas, and get this—shaved Nilla Wafters. It gives a nice vanilla scent as you bite the filled pasta. 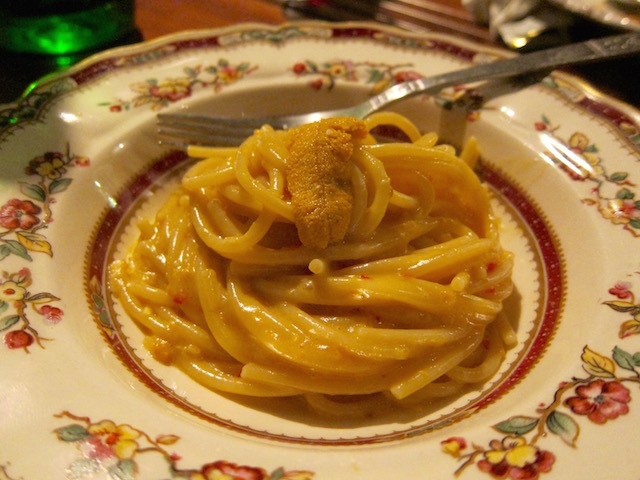 If you have a few extra dollars on hand, we highly suggest the special—uni spaghetti with chilies, because who doesn&apos;t love getting uni for lunch? What we love about this dish is that the creamy spaghetti gets its texture not from cream, but straight from uni. And then it&apos;s also topped with a piece of uni so you can have your fill. The insalata is a refreshing one with fennel, citrus, onion and lemon. It has a gorgeous presentation, with ribbons of the vegetables curled on the dish and pops of color from the oranges and red onions. 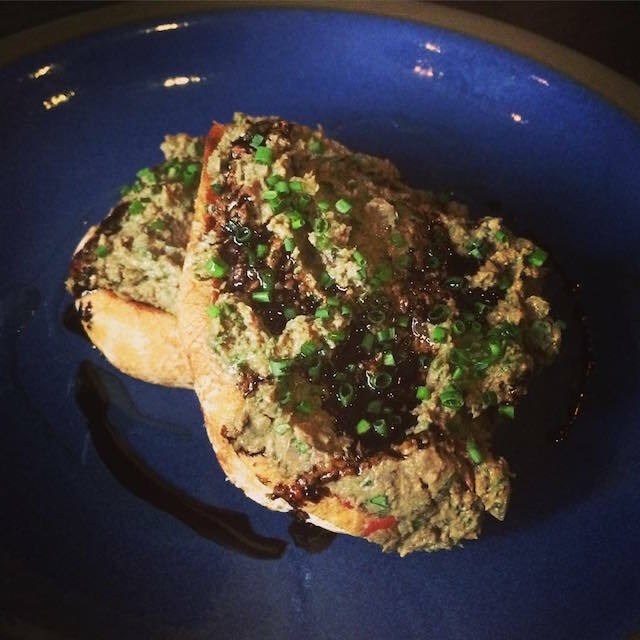 The crostini, though, is something we would get on the regular. It&apos;s made with homemade liver pâté, bacon and aged balsamic. There&apos;s a hearty helping of the pâté slathered over the bread. You can also get desserts like panna cotta with aged balsamic and charred berries, or cannolis with sweet ricotta and chocolate ganache made to order. And if you&apos;re feeling extra hungry, they offer a La Vita è Bella (Life is Beautiful) special where you can get one pasta (except the special) and two other items for $18. Cento Pasta Bar is located in Mignon at at 128 E. 6th St. in downtown L.A. Cento will only be open for lunch from Tuesdays through Fridays from 11 a.m. to 3 p.m. Their dishes are available for dine-in or carry-out.